Construction is nearing completion at the new North City Food Hub in St. Louis for which CRB provided volunteer estimating, pre-construction, initial design review and construction management assistant services. The project is led by a partnership between Northside Community Housing, Inc. and local nonprofits. It will allow North St. Louis residents to access resources, such as a shared-use kitchen and culinary training, to prepare for food-related jobs and increase their potential income. 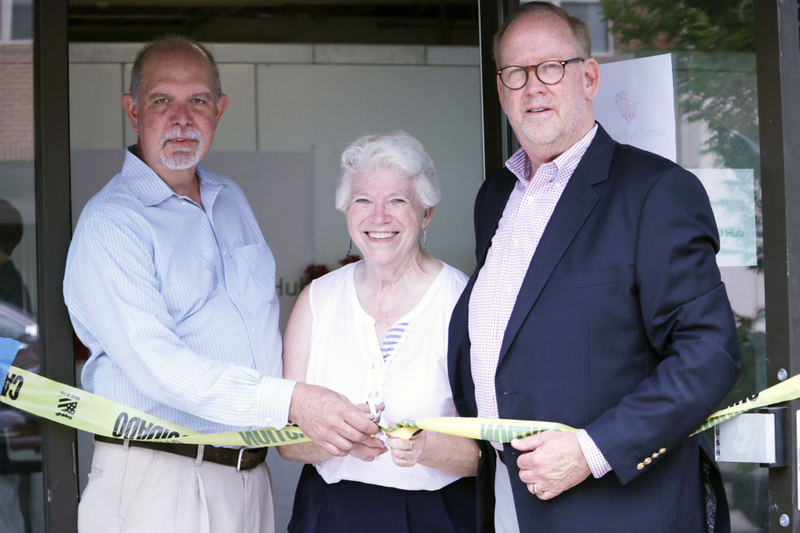 At the grand opening on June 28, the 3,000-square-foot facility was unveiled, and CRB’s project director, Bob McAllister, and chief operating officer, Lance Nordbak, celebrated with Dr. Mildred Mattfeldt-Beman, project coordinator and professor emerita at Saint Louis University.